Portland/Metro - With the Columbia River fall Chinook run over for the season, anglers had one more chance at keeper sturgeon last Saturday. 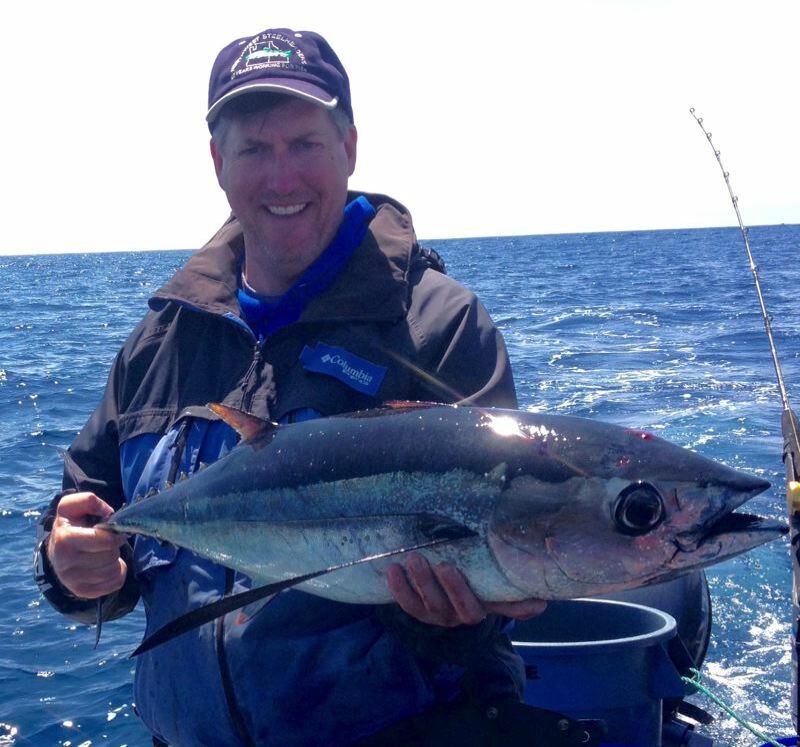 Catch rates didn't improve much from the previous two openers however, and it's estimated that over 800 fish remain on the 1,245 fish guideline. Whether managers will open up more opportunity is yet to be seen. Catch and release opportunities on the Willamette River will remain strong through the fall. Ample numbers of quality-sized fish will provide good sport into the winter months, but no keeper season is in the foreseeable future. Although the Sandy and Clackamas Rivers are open to hatchery coho and steelhead year-round, the bulk of both species is spent for the season. A few late-returning coho are likely to be found on the Sandy, with fewer yet on the Clackamas, but Eagle Creek could offer up some success. Dropping temperatures will make the fishing more challenging however. Another rise in river levels over the weekend won't help matters either. The Tillamook Report - Following the previous weekend's flood event, Tillamook fishers found another good slug of Chinook available in the bay. Anglers participating in the North Coast Rendezvous landed over 40 fish the first day as water conditions had cleared just in time for the event. Unseasonably warm weather graced the district for much of the week, and catches remained fairly robust for much of it. The west channel has been a consistent go-to location, as is commonly the case following a high water event. District rivers didn't fish as well as anglers had anticipated, but the Trask, Wilson and Nestucca did put out decent catches following the flood event. Most late season fish will be destined for the Wilson and Kilchis Rivers and river levels are expected to remain stable for the foreseeable future. Backtrolled plugs and backbounced eggs will likely entice fish in the lower flows. Chum salmon should start to make a stronger showing this month. Chum are legal to target through November 15, but anglers are encouraged to use extreme care when releasing these sensitive fish. North Fork Nehalem hatchery workers are reporting a mediocre return of hatchery coho this year, and the fishery is largely over. 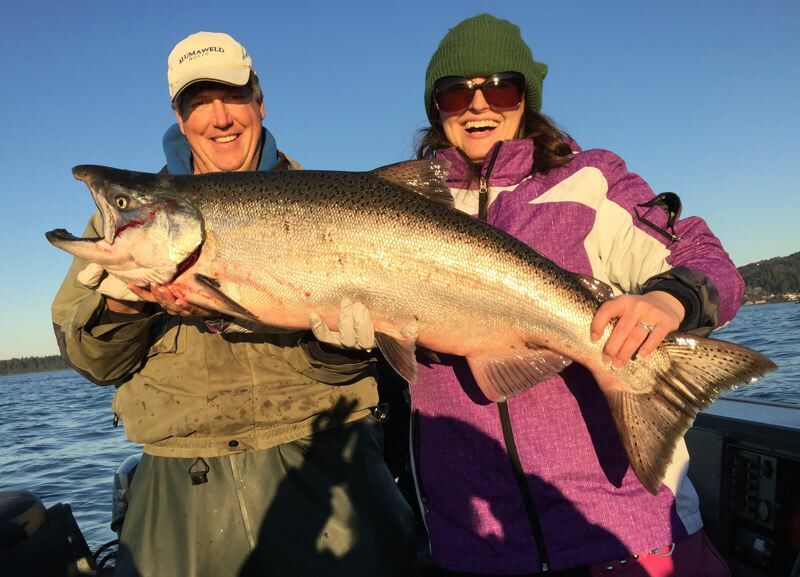 The season's first winter steelhead will likely fall closer to Thanksgiving. Trout fishing has closed for the year, those that participated in the fishery called it a good year. Many district lakes remain open however, check regulations for the body of water you intend to visit. Crabbing in Tillamook Bay remained oddly productive during the last high water event. Stronger tides this weekend will likely stifle success. The Astoria area - Crabbing and clamming are about all that remain for this district. Crabbing over the weekend will be challenging with the higher tide swing, but if you target tide changes, you should find some success. Be mindful of the strong outgoing tide in the afternoon, buoys will likely get taken under and won't show again until the next slack tide. Razor clam digging could be fair over the weekend if the swell isn't too big. The razor population hasn't been overwhelming this season so limits won't be easy to come by.